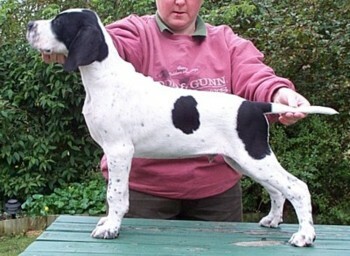 Cole, along with Flame, are from our first litter - co-bred with Diane O'Neill, Chesterhope Pointers. Our sincere thanks are extended to Diane for inviting us to co-breed this litter with her, and to "Molly" for giving us these 2 lovely Pointers. 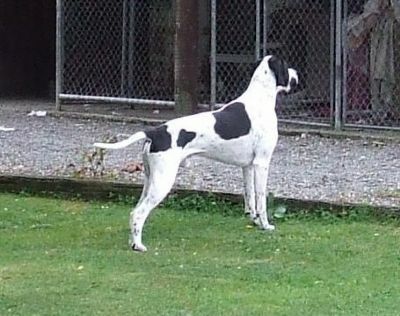 Cole has been a *star* in and out of the show ring, having featured in two of Rodd & Gunn's past advertising campaigns. We were particularly proud of the way he acquitted himself during the photo shoots, particularly in the first one when he was only 11 months old! 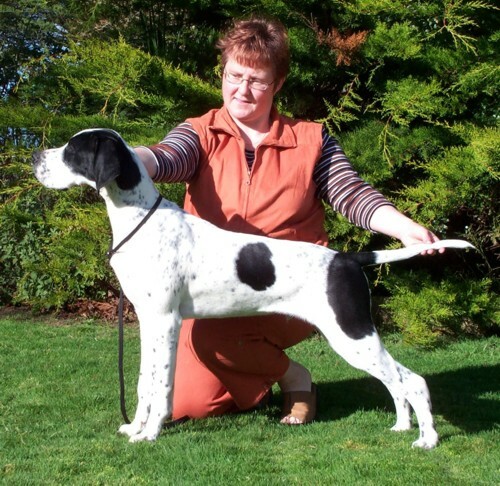 BEST STUD DOG IN SHOW - The Pointer Club Inc Championship Show 2009 (Judge: Mrs Sue Wilkinson, Hurwyn Pointers, UK). Critique reads "Heavier dog. Nice head. Slightly short in Neck. Good quarters,well muscled. Nice Mover." 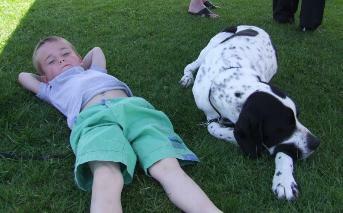 Above all else, Cole is a very sweet natured boy and it is a pleasure to share our lives with him. 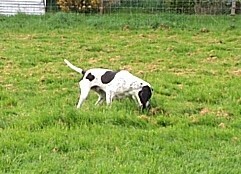 He is also a bird hunting fool just like Flame.